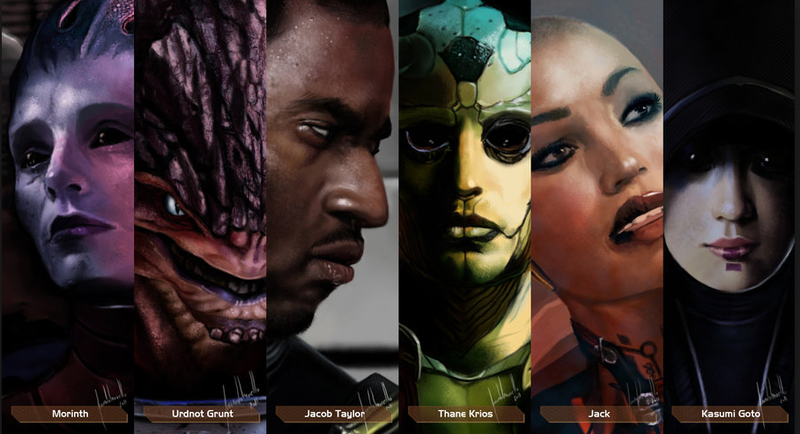 You know, the first time I played through ME2, I honestly thought most of the characters would be different. Take Grunt for example. He starts out not being sure of what his purpose is, who he is, or really why he was even created in my opinion. That would have been a very interesting character to have as a squadmate: an engineered super soldier who, despite being literally made for combat, doesn’t really want to fight. Or at least isn’t sure if fighting and violence is all he wants in life. Then of course they go and have him become this awesome killing machine without a care in the galaxy. Completely different path from where I thought he was going. As you say, there’s more about the Krogan then violence. Not only indicated by the Krogan clone in Grunt’s recruitment mission, but also by the Krogan on Illium who tried to get his asari lover to accept him by recite really bad poetry to her. That’s really different then what you would expect from the ME universe’s most violent species. I’m honestly curious how you see Zaeed as a fairly well developed character and yet Kasumi is not. I liked both in game, but honestly felt if anything Kasumi more developed then the mercenary. I mean, both were just DLC characters who had rather limited dialogue, so there’s not much development going on either way, but I guess because of Kasumi’s generally more likable nature I felt that she was more developed. I don’t know.